A helpful guide to assist you with making decisions about your medical malpractice case. Consider this–A 2016 study lead by researchers at Johns Hopkins and published in the British Medical Journal found medical errors in the U.S. may now be the third leading cause of death in our country. The reasons for this are complex, and we don’t have time to go into them in this article. here today, But, let’s talk about what you can do to avoid being a victim of medical malpractice, and what to do if you think you are. Watch attorney Paul D’Amore on Midday Maryland talk about what to do if you think you’ve been harmed by Medical Malpractice. Avoiding medical malpractice can be summed up in one phrase: “trust but verify.” You should find medical providers that you trust, but never stop being your own advocate. Learn about your medical condition, and ask your medical providers lots of questions. Are there alternatives to the care that’s being recommended? What is the expected success rate of the care plan? What would happen if you did nothing at all? If you are getting admitted to the hospital, bring someone you trust with you to discuss your care with your providers, and to watch over you in the hospital. Hospitals can be busy places with overworked staff. Giving the wrong patient the wrong medication can happen quite easily. If you have a trusted companion with you, he/she can politely check in with the staff about what your medications are supposed to be and ensure the proper ones are administered. Also, someone who knows you personally will recognize abnormalities in your demeanor faster than a care team of strangers. After surgery, subtle signs of weakness or mental deterioration can be warnings that something serious is happening to you. If caught early, some serious conditions can be treated, and permanent harm avoided. I have seen numerous cases where family members pointed out signs and symptoms of life threatening complications that were missed by the medical staff because they just didn’t know the patient well enough to recognize them. Everyone who has had an unintended medical outcome has a potential medical malpractice case. However, no one can determine if you have a legal cause of action without a careful review of the facts and medical records relevant to your claim. To do that, every piece of information helps. Gathering the appropriate medical records is the key to putting together a solid medical malpractice case. The history of how you were treated, who treated you when, how your medical profile changed, and other factors will ultimately determine who (if anyone) is liable for any injuries you may have sustained. Your attorney will help you compile the necessary information to build a strong case. Keep notes regarding what the medical providers are telling you. Keep track of the names of the people you speak with. Keep track of the dates on which these conversations occurred. Medical malpractice is an extremely specialized area of the law. No one would recommend you seek the advice of a foot doctor for a brain tumor. You should not seek the advice of just any lawyer for a medical malpractice case. You need to contact an experienced medical malpractice lawyer. 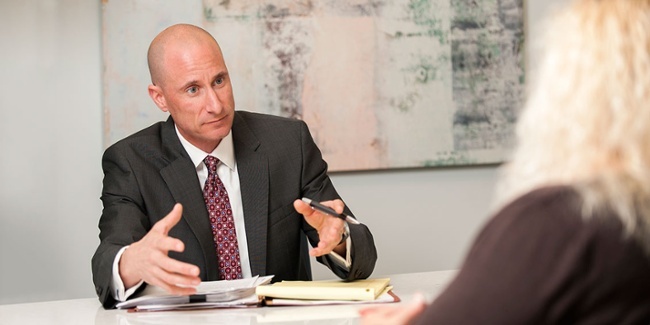 Once you have selected an experienced malpractice attorney you should set up a face-to-face meeting. Many experienced medical malpractice attorneys will come to your home or even your hospital room to meet with you for the first time. For this first meeting, it is best to focus on the “who, what, when, and where” of your case. The attorney is going to want to know what brought you to seek the services of a medical provider? Who were the people involved in your care? When and where did this all happen? 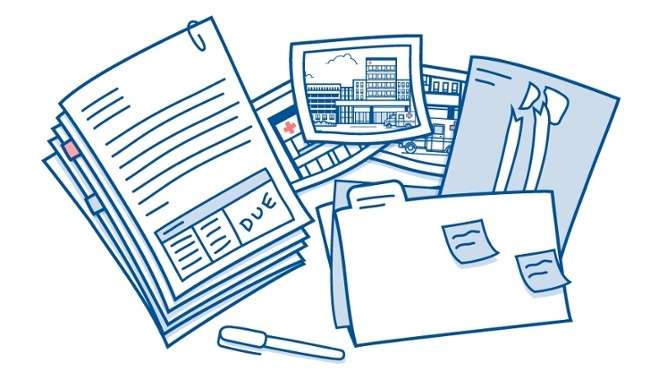 If you have collected any medical records, bring them to the first meeting. Most experienced medical malpractice lawyers know how to read medical records. The most experienced are usually able to interpret the records for you and explain them in terms you will easily understand. “I always do my cervical discectomies from an anterior approach”. Ok, so what does that mean? It means when that particular surgeon operates on the bones in a person’s neck [the cervical spine] in order to take pressure off the nerves or spinal cord [a discectomy], he/she goes in through the front [anterior] of the neck with the patient lying on her back. At the first meeting, we are usually able to help our clients understand their medical condition, the treatments they received, and what happened to cause them harm. Our clients often tell us this simple step gives them back a sense of control over their lives; making the first meeting invaluable to them, regardless of whether we take on their case. All medical malpractice claims have time limits that are set by laws called “statutes of limitations.” A statute of limitations sets the period of time someone has to take some kind of legal action. If a plaintiff misses the deadline, the defendant can use the statute of limitations as a defense against the suit. If the defendant establishes that the statute of limitations applies and has indeed “run,” the court will dismiss the case. Maryland requires medical malpractice claims be filed within 3 years of the date the injury is discovered, but no more than 5 years from the date the injury occurs. If the medical malpractice resulted in death, the claim for the death requires action be taken within 3 years of the death. In Washington, D.C. the statute of limitations for medical malpractice is 3 years. For wrongful death the time to file a claim is limited to 2 years. Calculating statutes of limitations periods is a tricky business. For statute-of-limitations purposes, the clock normally starts to tick when the claim “ripens.” Courts sometimes refer to this starting point as the “accrual” of the “cause of action”; it’s the moment at which the plaintiff has a basis to sue. However, certain events and circumstances can delay or “toll” statutes of limitations, essentially lengthening the time period for bringing a claim. Furthermore, claims against certain governmental entities have much shorter limitations periods. These variables make it critically important to speak to an experienced medical malpractice lawyer the moment you suspect you have a medical malpractice claim. If you wait, and the limitations period has expired, the court will dismiss your case. If you or a loved one has been injured due to someone else’s negligence, DO NOT WAIT contact us immediately.